Sometimes it’s tough to get kids away from playing football or basketball and into capture the flag, battle soccer, and some of the other games we’ve created. We need more bridge games. Bridge games are those that have a low degree of difficulty and breeds participation. Want to see other items from our wishlist? Visit the Recess Cleveland list on Amazon. Connect 4 inflatable and basketball equipment for use during FREE Recess events! 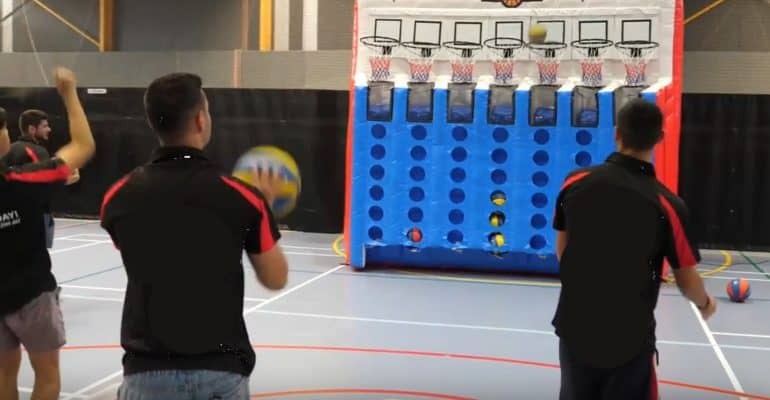 Connect 4 Basketball experience to 4000 families and 10000 people in 2019. A inter-generational game for players of all skill levels.